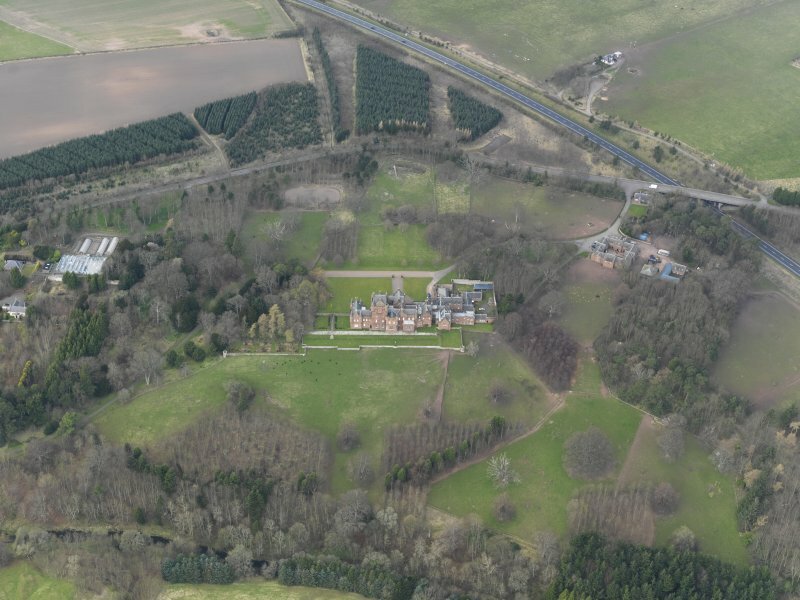 Oblique aerial view of Ayton Castle and policies, taken from the ESE. 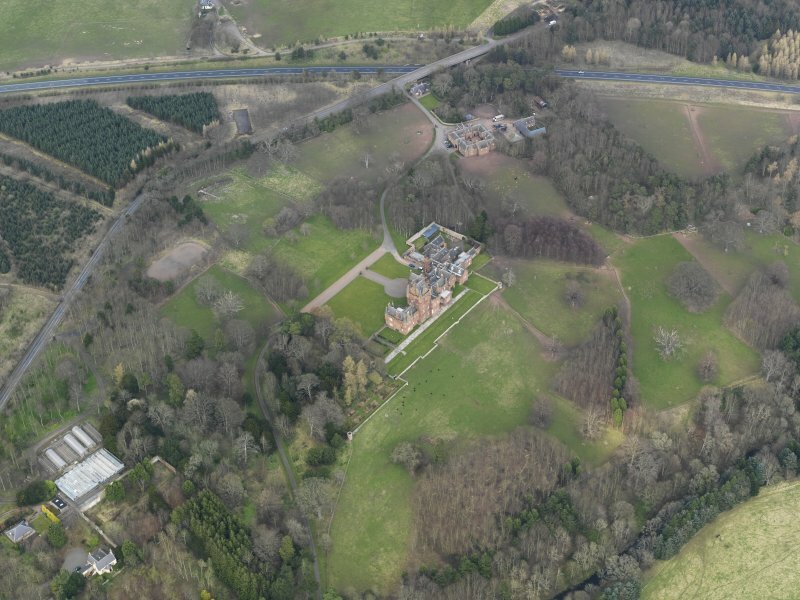 Oblique aerial view of Ayton Castle and policies, taken from the SSW. 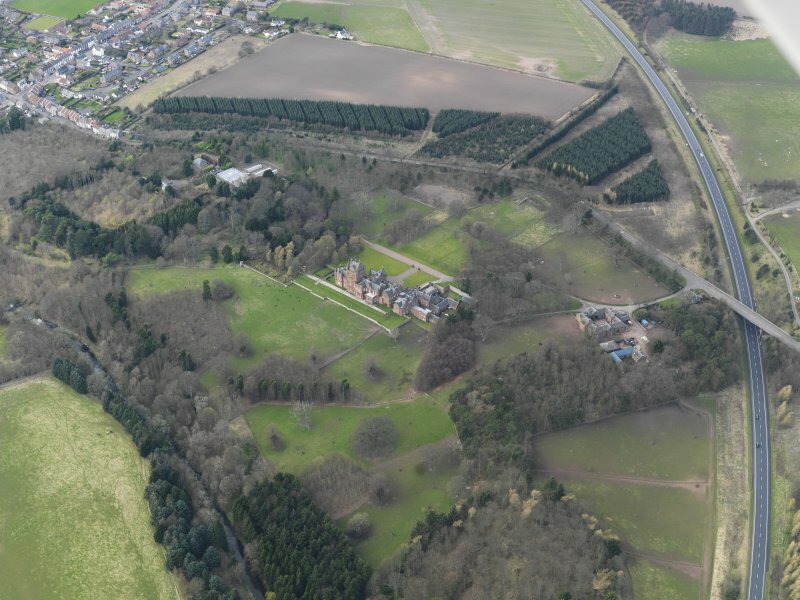 Oblique aerial view of Ayton Castle and policies, taken from the SE. For (present) Ayton Castle (NT 92895 61379) and associated buildings, see NT96SW 62.00.